Director Shankar's I is bustling with progress. 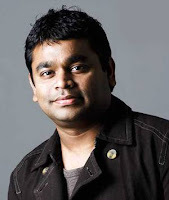 Mozart of Madras has now recorded a song for the film; AR Rahman tweeted "Just finished recording a song with Sunitha Sarathy for Shankar's I". With Vikram and Amy Jackson in the lead roles, the movie is currently been shot in Chennai at a majestic set in studio. This schedule is expected to last for 20 days, and would film a song and some talkie portions. The movie starring Vikram and Amy Jackson in the lead roles is expected to be the movie of highest budget, with regard to Indian cinema. None less than the Rising Sun Pictures has been roped in for the VFX and costumes are to be designed by the same designer, Mary E Vogt, who designed for Men In Black and Fantastic Four. It sure is going to be a visual treat.